We may have been off by about 400 million years. Some 3.8 billion years ago, the first lifeforms emerged on Earth, and they were single-celled organisms, such as bacteria. Then, roughly 541 million years ago, complex, multicellular life appeared during an evolutionary event known as the Cambrian Explosion. Much of what we know about this relatively short period in history is gleaned from fossil evidence. Now, the discovery of strange fossils in sedimentary rocks in central India may push this evolutionary moment back by 400 million years. Therese Sallstedt from the Swedish Museum of Natural History has discovered fossils that appear to be the earliest evidence of plant life. Radiometric dating puts them at roughly 1.6 billion years old, which would make them the oldest evidence of red algae ever found. Sallstedt’s team subjected the fossils to an imaging technique called X-ray tomographic microscopy. This allowed them to identify regularly recurring platelets in each of the cells. They think that these could have been part of the organism’s chloroplasts, the cellular structure where photosynthesis takes place. Cell fountains, filament structures common in red algae, were also detected. The evolution of complex life is still one of the greatest mysteries of science. We know it had to have happened at a certain moment when the conditions were just right. It’s unclear, however, why simple life evolved at an earlier stage but complex life took so long to follow. If proven to actually be from crown group red algae, these new fossils will challenge our assumptions about when this evolution of complex life actually occurred. “These fossils pre-date the previously earliest accepted red algae by about 400 million years, suggesting that eukaryotes may have a longer history than commonly assumed,” Sallstedt said of the team’s research, which was published in the journal PLOS Biology. Previously, the oldest known samples of red algae were thought to be 1.2 billion years old. 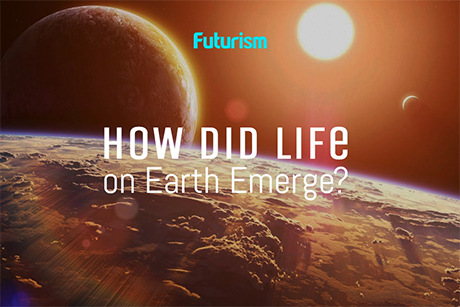 “The ‘time of visible life’ seems to have begun much earlier than we thought,” said Stefan Bengtson, a member of the research team. However, without DNA evidence to support the team’s assertions, it is difficult to prove anything. “You cannot be 100 percent sure about material this ancient, as there is no DNA remaining, but the characters agree quite well with the morphology and structure of red algae,” explained Bengtson. So, while it may not be possible to say definitively that these fossils are from eukaryotic red algae, the presence of features commonly associated with multi-cellular organisms certainly makes it look like they are. In turn, that forces us to rethink when complex life actually began. Samples of similar fossils could eventually be found elsewhere, so further research is definitely warranted.